No church wants to give a their first time visitor or returning guest a bad experience. 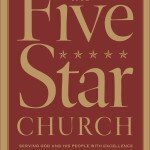 I have not run into a church that wants to create a bad experience for its guests. No church wants to be rude. No church wants to hinder a family’s journey to faith. The church greeter surveys that I’ve been conducting on greeter training material reveal that there is a tremendous lack of easily available information on recruiting and training church greeters as of 2009 when I write this article. I’ve read a series of books on the issue, and agree with that observation. I wrote my own book for greeters. Recently, I’ve read Les Parrot’s Serving as a Church Greeter, as part of some training preparation for church greeters. It is somewhat dated and some of the practices in it may not be in vogue anymore. It is a short read, 5 chapters, with a few questions to think about at the end of every chapter. This stuff is helpful for first impressions ministry, and perhaps out of place for a book on greeter training. In this chapter, one can find lots of good tips about preparing the foyer and functions of the foyer. 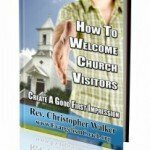 You can read more in my download ebook How to Welcome Church Visitors which is more focused on first impressions. Chapter 4 is focused on the act of greeting itself — what is a greeter to do. Many of these tips can be found, for example in 10 Tips for Church Greeter. Most are common sense, but often need to be clearly stated in any kind of training manual. However, this chapter read like a powerpoint slide and seemed absent of stories to demonstrate it’s principles. 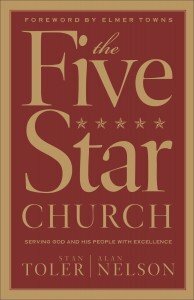 Chapter 5 is a late addition, focused on the parking lot ministry. As churches have gotten larger, this kind of specialized ministry has taken on a new role. 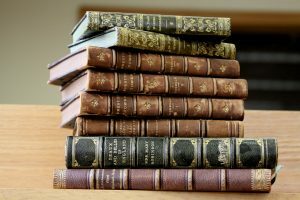 Thus a very short chapter is devoted towards this task. This short little book can be consumed in one sitting. Most of its contents are common sense organized into a readable format. I had hoped this book would give me answers to how to run a training meeting for church greeters or how to recruit greeters for your church. I also discovered that Parrot didn’t really get into helping a greeter know what to say. I can’t tell you how many times my site is searched for welcome phrases, and different ways to say “Good morning”. I would recommend this book for greeting team coordinators looking for some general ideas. I’m not sure I’d get copies for the entire team or volunteers. Most of it’s principles and questions can be covered in a team training meeting. Order your copy of Les Parrot’s Serving as a Church Greeter from Amazon and I’ll get a few quarters to support our work. 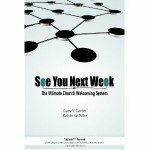 Want more Church Greeter Training? 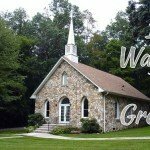 Check out these Church Greeter Resources on my site. 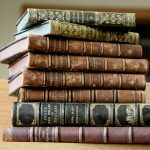 In response to a recent phone conversation about church greeter training, I compiled a list of books on church hospitality. The first two are mine, the rest are available from Amazon. How to Welcome Church Visitors, instantly downloadable. My first book on Creating better first impressions. Church Greeters 101, instantly downloadable. Takes the small chapter on greeters in the first one and amplifies it into all aspects of church greeter training. If you place an order through a link to Amazon, I receive a small commission that supports the work of our ministry.